[London, England] – Isaac Hernández is pondering whether he’s ever really been in love. “The more I think about it, the less sure I am of it,” says the 25-year-old Mexican dancer, fresh out of rehearsals for Romeo and Juliet, where he is learning the role of the tragic Montague. “Since I haven’t ended up poisoning myself, I think I haven’t felt what Romeo has felt,” he decides. 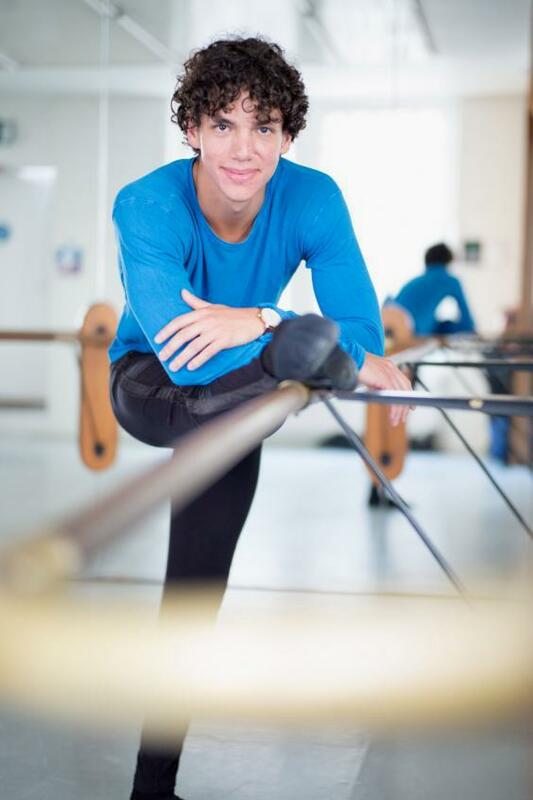 Brown-black curls flop into his eyes as he talks and one thing that’s certain is that audiences will soon be falling in love with Hernández, the latest hot young dancer to land in London, and the new lead principal at English National Ballet. Critics have called him “exhilarating”, a “consummate showman” and an audience favourite who is “totally alive to each moment”. He’s one of a wave of Latin American dancers who are making it big in ballet, impressing with their technical prowess and charisma. The first male Mexican dancer to reach many ballet milestones, Hernández has danced with San Francisco Ballet, American Ballet Theatre and Dutch National Ballet, won prizes in Moscow, Havana and Mississippi and fulfilled a lifelong dream with a guest spot at the Mariinsky Theatre in St Petersburg. By the age of 24, Hernandez had achieved almost all of the dancing goals he’d set himself, taking lead roles — he particularly loves the romance and technical fireworks of the big classical three-act ballets — and becoming a principal dancer in 2013 (you can see a video online of him being promoted after a performance of Sleeping Beauty). He’d also set up a youth-focused non-profit organisation in Mexico and founded the first free ballet school in the country. “If everything I have done is for myself, and only I experience the benefits, that is a really awful and empty way to live,” he says. Cute, clever and altruistic too. It’s all a bit too good to be true. But Hernández was not content to sit back and enjoy success, he wanted to be better; he wanted to be the best. And what do you do when you want to be the best in your field? Come to London, of course. 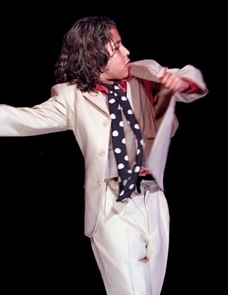 Hernández first met ENB director Tamara Rojo as a starstruck 14-year-old, dancing at a gala in Mexico. “Of course I was always dreaming that maybe one day I would be able to dance a full-length ballet in London with her,” he says. Almost a decade later, Hernández came to London to see his little brother Esteban graduate from the Royal Ballet School and bumped into Rojo. As one of 11 children in a crowded house, these lessons became precious father-son time and Hernández senior would tell Isaac stories from his time dancing in New York: about the dancer who could balance on one leg for minutes on end, or of the feeling of flying when leaping through the air in grand allegro steps. Hernández was intoxicated by these things he could barely imagine. He couldn’t leap through the air himself because there wasn’t space in the small yard. Instead he had to stick to the static barre exercises, which are usually just the beginning of each class. It’s the equivalent of practising writing the alphabet for two years but never forming a sentence. However, when you do start to form words, that handwriting is bound to be beautiful. And so it proved, when some of Hector’s former students clubbed together to help build a studio for Isaac and his unconventional training paid off. “I think the first time I tried pirouettes I did at least four,” he remembers. And from there he’s never looked back. Hernández started winning local competitions, was offered a scholarship to the Paris Opera Ballet school aged 11 (he took one class there and begged his mum to take him home), and a bidding war broke out between schools when he performed at the Youth American Grand Prix aged 12. He went on to train in Philadelphia and straight into a professional career, which has now led him to London. Derek Dunn is a perfectionist. So, when he looks over pictures of himself from a recent competition, he sees only things he needs to improve. The fact he took home the only medal by an American in the prestigious international contest isn’t lost on him, it’s just that Derek has a passion to succeed as a ballet dancer. To that end, the 15-year-old Ferndale resident already devotes much of his life to dance. He attends a noted boarding school in Philadelphia that mixes ballet instruction with academics and is currently enrolled in a summer dance program in New York. Canterna-Hardy, who choreographed two contemporary routines for Derek’s recent competition, added that he has the “perfect body” for ballet and is particularly accomplished at turns. 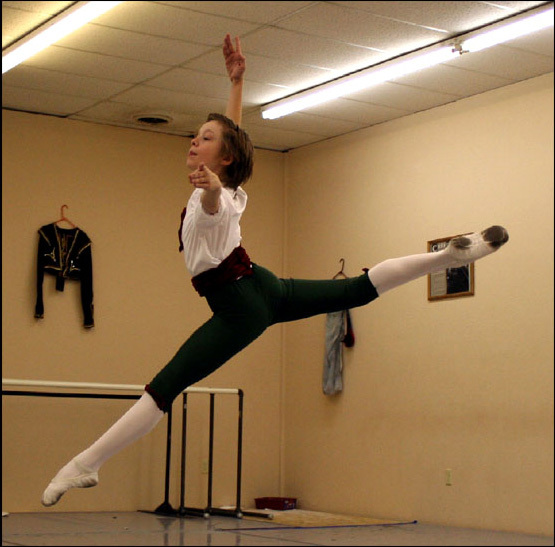 The young dancer showcased his skills at the 2010 USA International Ballet Competition in Jackson, Miss. The two-week-long contest is only held once every four years, like the Olympics, and Derek took home bronze in the men’s junior division late last month. He competed against 18 other dancers ages 15 to 18 who were selected to take part. Derek was automatically accepted into the competition based on his win in another contest, officials said. Derek’s favorite ballet, though, is “Don Quixote,” which he said he particularly relishes because of its entertainment value and enjoyable roles. After he completes the summer dance program, Derek plans to swim a bit. He’s competes in that sport as well, and according to his parents, Brian and Vicki, gives 110 percent in everything. Besides that, Derek said, he’ll probably play some tennis and just try to relax for a couple weeks before school starts. At The Rock School for Dance Education in Philadelphia, which Derek received a scholarship to attend, he sometimes dances up to eight hours a day if he’s preparing for a performance. Usually, though, dance “only” takes up about three or four hours a day, he said. Derek said it was difficult to be away from home at first, but he got used it as his freshman year wore on. He also was allowed to come home more often than he originally thought he would, which helped, he said. He’s never, ever tired of dance, and said his greatest strength is his ability to show emotion while performing. Derek’s fascination with dance began his sister. Danielle, 17, took lessons at the Edna Lee Dance Studio, and when she came home from class and practiced, Derek was fascinated. “I’d dance around the house with her,” he said. Although his parents were initially a little surprised by his interest in dance, they never discouraged him and soon signed him up for lessons, too. Danielle continued dancing until last month, and in the past performed on occasion with her brother. (The siblings also share a love for swimming, something Danielle’s planning to continue at Salisbury University, her parents said). Neither Brian nor Vicki have a background in dance, but did play sports growing up, which is where they said Derek’s athleticism probably comes from. “It didn’t take long for us to realize he was very good at (ballet),” said Brian, who works for the U.S. Department of Energy. He added that his son distinguishes himself from other dancers by doing a lot more than just being technically perfect. “A lot of kids are very, very talented, but can’t put the emotion in (and) don’t have his desire,” Brian said. Hernandez, a student at Philadelphia’s Rock School for Dance Education who arrived in the United States two years ago to pursue his passion, is considered one of the ballet world’s most promising rising stars. He has racked up medals, scholarships and international recognition, and his teachers say a career in a top ballet company is almost certainly assured. Hernandez, who started dancing at the age of 8, has a long and impressive résumé: He won gold medals at the Cuba International Dance Competition and at the Youth America Grand Prix International Finals, the largest ballet competition in the world. He also came in first place at the recent Tanzolymp festival in Berlin, Europe’s largest dance competition. And last year, he was honored with Mexico’s National Youth Award, in a ceremony attended by Mexico President Felipe Calderon. Hernandez has the demeanor of a relaxed and well-adjusted teenager; however, he is simply transformed the moment he begins to leap and pirouette. It underscores a discipline and maturity far beyond his years. Hernandez, the eighth of 11 children, hails from a dance family. Both parents were performers and his older brother, Isaac, a graduate of the Rock School, is a dancer with the San Francisco Ballet. His father performed with the Dance Theatre of Harlem and the Houston Ballet. Enrolled as a ninth-grade student in a school in his native Guadalajara, Hernandez studies in the Philadelphia apartment across from the Rock School that he shares with two older sisters. He only takes tests when he returns to his hometown. Dance is his life, he says, and he admits that it’s difficult for him to connect with people outside of that tight-knit community. Rock School student Esteban Hernandez has been presented with Mexico’s National Youth Award in recognition of his achievements in ballet. Esteban was personally honored by President Felipe Calderon in an awards ceremony held on October 3 at the National Palace in Mexico City. Each year the National Youth Award is presented to the country’s most outstanding young people in categories including science and the arts. Esteban, a native of Guadalajara, is one of this year’s 16 winners, selected from a pool of 33,000 competitors. Esteban entered The Rock School in September 2007, following in the footsteps of his older brother Isaac, a former Rock School student who now dances with San Francisco Ballet. At the age of 13, Esteban was the second non-Cuban individual to earn a gold medal in the junior division of the International Student Ballet Competition in Havana, Cuba. In April 2008, he won the gold medal in the junior division at the Youth America Grand Prix International Finals in New York. Within each dancer lies the story of her talent—how she discovered it, how a teacher fostered it, how it grew within her. It may take years before talent is revealed. But occasionally a student’s raw ability is so exceptional that it’s almost spooky. That’s when she might well be considered a prodigy. What does dance mean to a kid who seems to have been born doing it? What does such a student mean to a teacher? What can the dance world expect from such gifted young people? To find out, Dance Magazine spoke to several such children and their teachers. Marlon Dorantes, an 11-year-old boy from California, dances flamenco like a gypsy in Spain. Inspired by his older sister’s dancing, Marlon tried a flamenco class at age 4 and loved it. Seven years later, he’s taking advanced classes with adults and performing with great success around Los Angeles. As a toddler, Nikolas Gaifullin sat in the lap of coach Pavel Fomin while his parents, Daniil and Stephanie Gaifullin, rehearsed Raymonda. His father has a video of him performing the mad scene from Giselle with his mother in their living room. Now 12, Nikolas placed second in his division at the Youth America Grand Prix 2007 Finals, and has performed by invitation at the Spoleto Festival in Italy. The Gaifullins, co-founders of Ballet Amarillo in Texas, remain dumbfounded by their son’s talent, even as they teach him themselves. “I’ve been thinking about ballet since I was 2,” says Nikolas. “When I’m dancing, I feel very confident; I know what I’m going to do. And I feel proud of myself.” He likes turns and jumps; he’s working on beats. “There used to be a ceiling fan in my grandma’s house, and when I was a baby my feet would move to the beat of the fan. Whenever I heard music I would start banging my feet on the floor,” says Krithika Rajkumar, a 15-year-old student of the Indian classical dance form Bharata Natyam in Oak Park, Michigan. New York-based tapper Ayodele Casel started teaching Warren Craft when he was 9 years old, and she saw immediately that he had the gift. With tap, she says, you can tell right away who has that ear, that natural ability to pick it up. Warren did, and Casel taught him privately every Sunday for two years. With high arches, gorgeous extensions and a brilliant smile, 15-year-old Beth Miller has been catching teachers’ eyes since she began studying ballet in the second grade. In sixth grade, she saw Sylvie Guillem perform Juliet with The Royal Ballet in London, and she realized then that dancing was what she wanted to do. “Dancing is one of those things I just can’t imagine my life without,” she says. Studying in The Washington School of Ballet’s Release-Time program, she has worked hard to develop the strength to support her flexible frame, and is extending her technique past her comfort zones. “I’m starting to like turns more and more. That used to be my weakness, but I’ve worked hard on them.” Beth hopes to perform the role of Juliet herself one day, and she dreams of dancing for The Royal Ballet. When he was 9 years old, Isaac Hernandez began studying ballet in his backyard in Guadalajara, Mexico, with his father, Hector Hernandez, who had danced with Dance Theatre of Harlem and Houston Ballet. Within three years, Isaac had won medals at competitions and a scholarship to The Rock School in Philadelphia. 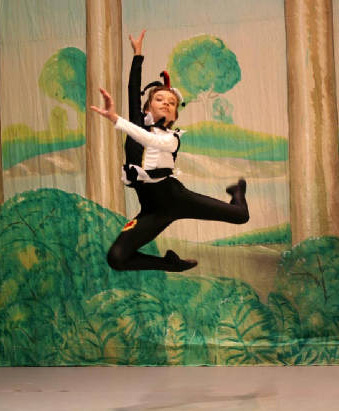 Isaac loves the classical repertoire and has performed the Don Quixote variation since he was 11. It’s his yardstick now, the way he measures his progress in technique and expressiveness. “I guess it’s the Latin blood in me. I feel like I was born doing it,” he says. Still, he hopes one day to perform full-length versions of his favorite ballets—particularly Don Q and Giselle. At 17, with a place now in American Ballet Theatre II, that hope seems likely to be realized. Lea Marshall teaches dance at Virginia Commonwealth University and directs Ground Zero Dance Company in VA.
© 2008 Macfadden Performing Arts Media LLC. 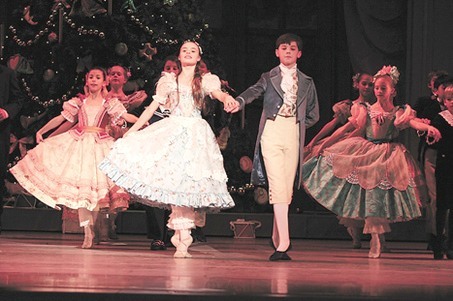 Ever since Pennsville resident Austin Butler could walk he has been pointing his toes, leaping, jumping, and spinning his way into ballet productions.”I was 3 years old, I saw my sister dancing and I wanted to dance, too,” Austin said. Austin’s sister, Brittany, is a recent graduate of North Carolina School of Arts and is one of his closest companions. Austin’s dancing talents will no doubt acquire him much fortune in the future, but he is not breaking the bank now to fund his passion. He attends The Rock School of Dance Education in Philadelphia on a full scholarship. Education is important to the Butler family. Due to Austin’s busy schedule of rehearsals and traveling, he is privately tutored. History and government are among his favorite subjects. He intertwines his love of ballet and history by researching the background of the productions he takes part in. Carnival of Animals tells the story of a young boy who accidentally falls asleep in a history museum and allows his imagination to transform his friends and teachers into a menagerie of animals. Austin shares the lead role of Oliver. The show opens Friday at the Academy of Music in Philadelphia. Roy Keiser, the Pennsylvania Ballet’s artistic director, personally requested Austin for the production. Austin described it as the happiest day of his life. Joy is something he readily finds in dance. “I love dancing, so I feel happy whenever I think about the chance to dance,” said Austin. Austin’s talent is promising for the future, but dance is not the only thing he aspires to do. This week, top Rock School students step up to the world’s largest dance competition. Esteban Hernandez may be only 13, but his jumps soar. In his Don Quixote variation – usually danced by men twice his age – Hernandez’s confidence and regal posture belie his youth. He is a Rock star, a top ballet student at Philadelphia’s Rock School for Dance Education. But this week the native of Guadalajara, Mexico, will be aiming even higher – competing in Swarthmore at the regional semifinal of the Youth America Grand Prix, a competition for ballet dancers ages 9 to 19. To prepare, he and four dozen other Rock competitors spend an extra hour or two a day – on top of five hours in ballet classes – rehearsing for the Grand Prix at the Rock studios at Broad Street and Washington Avenue. Competitions are a little-known side of the ballet world, and most are designed to showcase professional dancers trying to upgrade their careers. But the Grand Prix focuses on students, who can win scholarships to some of the world’s best ballet schools. Thousands of students are competing in semifinals in 10 U.S. cities, as well as in Brazil, Mexico, Japan and Italy. Medalists, and those who earn scores of at least 95 out of 100, will move on to the April 16-21 finals in New York. And there they may win offers to study at England’s Royal Ballet School, Italy’s La Scala Ballet School – or at the Rock School (formerly the Pennsylvania Ballet School), which won the Outstanding School Award at the 2007 finals. The Grand Prix – founded in 2000 by Larissa Saveliev and her husband, American Ballet Theatre soloist Gennadi Saveliev – in only eight years has become the world’s largest dance competition. Former participants now have jobs in nearly every major company in the world; New York City Ballet has 13, ABT has 23. But there are no guarantees. Bojan Spassoff – who runs the Rock School with his wife, Stephanie Wolf Spassoff, like him an ABT alum – says competitors may spend thousands of dollars on choreography, coaching, music and costumes in preparation. And then, if they are lucky and talented enough to make it to the finals, they’re up against 350 of the best young dancers in the world. The Rock School’s directors were initially leery of having their students compete. She says she had the most reservations about competitions “because then there are all these losers,” who may have come out on top a different day. But the Spassoffs changed their minds in 2003, when longtime student Christine Shevchenko blossomed into an exceptionally talented 14-year-old. They trained her for the Grand Prix, and she won first place in both the classical and contemporary categories in the regional semifinal, and made the top 12 at the finals in New York. “The value of that process is really what changed our minds. We saw what that coaching could really do for dancers,” Bojan Spassoff says. In April 2008, Esteban Hernandez won the gold medal in the junior division at the Youth America Grand Prix International Finals in New York. Shevchenko went on to succeed in other competitions, most notably winning gold in the junior division of the 2005 Moscow International Ballet Competition. (Mikhail Baryshnikov had won the senior division in 1969.) No American had won a medal in Moscow since 1981. It was also at those 2003 Grand Prix finals that the Spassoffs met a 12-year-old from Mexico, Isaac Hernandez, older brother of current Rock student Esteban. Isaac was named the best male dancer in the junior division that year. An adult sibling, Laura, moved with Isaac to Philadelphia, but the Spassoffs say Isaac also formed a close relationship with them – close enough that last March, Esteban came to Philadelphia to study at the Rock, too. They were together only briefly. Within months, Isaac had joined ABT II, American Ballet Theatre’s second company, leaving Esteban to follow in his tendus, jetés and other footsteps – perhaps all the way to the New York finals. Though it’s Valentine’s Day, most of the Rock dancers are wearing traditional black and white or pastel pink. But Beckanne Sisk, 15, of Longview, Texas, sports a cherry-red leotard and heart-shaped earrings as she practices her solo from La Esmeralda, with tambourine. Neither Taylor Stanley, 16, of West Chester, nor Lawrence Rines, 17, of King of Prussia, had to move away from home and family to attend the Rock School, but their days are arduous nevertheless. Both participate in a distance-learning program through the school, and Rines’ daily commute is 90 minutes each way, on a bus and two trains. Still, they say growing up dancing is only as hard as one lets it be. “I don’t surround myself by negative people, so it’s fine,” says Rines, who last year did well at the New York finals. Kara Hanretty, 18, of Syracuse, N.Y., competed the last two years, and went to the finals both times. A strong, flexible dancer, she won a place at American Ballet Theatre’s intensive summer program her first year, and her photo, in ads for the competition, has appeared in Dance Magazine and other publications. This year, she’ll dance classical and contemporary solos, as well as a contemporary duet with Stanley, whose wide-ranging talents include acting and singing. “I have, like, flexibility,” he says. “[Jazz] can always be with you,” he says. But for now, he’s all ballet all the time: Two weeks ago, he was accepted on full scholarship to the prestigious School of American Ballet, the feeder school for New York City Ballet. That means this year’s Grand Prix, Stanley’s first ballet competition ever, will be his last as a Rock student. During these competitions, Hanretty says, the most important thing is enjoying the work. “Honestly, I do it more for the experience. I get more out of that than from the competition, I think. “It’s nice to win, it’s a really good feeling,” she says of the semifinals. But then come the finals – and the challenge of a world’s worth of talent.